This centuries-old, traditional technique is finding more and more followers today. A deep relaxation is achieved in a gentle way (without medication), which makes the necessary dental treatment much easier for patients with anxiety. It is always a great pleasure to hear how many patients found their visit to the dentist surprisingly pleasant with the help of acupuncture. Also a pronounced gag reflex can be influenced positively, the strongly reduced gag reflex leads to a clearly more pleasant treatment. In the case of pain in the area of the chewing muscles (TMJ- disorders, TMD) or headaches (as a result of excessive use of the muscles under heavy strain (work, family)), a reduction in pain can be achieved. 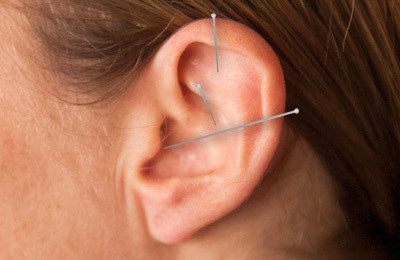 Acupuncture also helps to relax teeth grinding and supports physiotherapy. It is always amazing what these thin needles can do if they are used specifically.